The best pillow for combination sleepers will allow you to seamlessly shift from one position to another while you are sleeping. If you toss and turn in your bed, you have all the chances of putting a strain on the quality of your sleep and will, therefore, end up waking very tired. A pillow for combine sleepers may be able to fix this problem. It has a medium firmness, not too soft, nor too dense, which will conform to you regardless of your position. Pillows for every sleeper are very useful for people who experience bad posture and various body pains. But since no person has the same needs, this guide will help you find the best one for your needs. Before moving further, please note that the products mentioned in this article work well for every sleep position. However, if you prefer one position over others check our dedicated articles- pillows for side sleepers, pillows for back sleepers, pillows for stomach sleepers or start from our gateway article best pillows. Who is a Combination Sleeper and What Kind of Pillows Appeal to Him? Reduced Snoring: Those who snore wake up more tired in the morning only because they are woken up throughout the night by their snores. A good combination sleeper pillow will adequately cradle the neck and chin of the user so that the airways are clear. Supports Spine: Back problems occur with a pillow that does not have enough firmness. Why? Because let’s say that your usual cushion offers you enough support when you sleep on the back. However, once you go on your side, your neck will be lower, causing you to press too much on your shoulder – and hello back problems. A good combination pillow will make sure that your spine stays straight thanks to its firmness. Easy to Change Positions: Since combination sleepers move around a lot, they will need pillows that can keep up with their whims and will quickly change their shapes so that you don’t do a lot of bouncing around or strain your body. Here is a little question for you. Do you sleep: a) On your back, b) On your side, c) On your stomach, d) All of the above. If your answer was “yes” to all of them, then congratulations: you’re a combination sleeper! One position is not enough for you, and you typically end up going from back to stomach to side several times a night. To be honest, however, the majority of the people sleep like this – so you’re not alone. A pillow that appeals to a combination sleeper should mix several features in one casing. For instance, it should have both soft and firm sections. You will need a pillow that is a bit lower and softer in the middle for when you sleep on your back – but firmer and higher on the other sides. The combination pillows that will best appeal to you are those made of multiple materials and will contour around you, or Buckwheat hulls pillow that may adjust regardless of your sleeping position. As a combination sleeper, you might want to steer clear of feather quill pillows. They are usually fairly stiff, and won’t be very comfortable when you start rotating and shifting in your sleep. Down Alternative: Unlike down pillows, these are less likely to lose their shape since they are filled with synthetic fibers. They feel, however, as soft as their down counterparts and were made to mimic real feathers regarding comfort. Memory Foam: Memory foam pillows are among the most modern and also popular materials on the market. You can find them in different densities, and they work by simply contouring around your body, making it perfect for combination sleepers. Buckwheat Hulls: Buckwheat pillows are (apparently) filled with buckwheat hulls. It’s usually inexpensive, and it’s fairly flexible and malleable. However, too much filling can provide too much support. Latex: Latex pillows are also quick to accommodate and offer plenty of support. They are also excellent at dissipating heat and provide super ventilation properties, making them perfect for people living in warmer climates. They are also mold and mildew-resistant, making them the ideal choice for those fighting with allergies. Gel: This type of pillow is something like a combo between memory foam and latex. The primary material is memory foam that has been enhanced with gel for extra flexibility. This will allow the pillow to mold perfectly around you and provide the support that you need. Size: Combination sleeper pillows come in multiple sizes; all you’ll have to do is choose the one that is most suitable for you. You must choose the size based on how big your bed is. If you have a double bed, you might want to go for a pillow size that allows you to place two of them side by side. Sizes come in small, medium and large. Thickness: Combination sleepers need to be mindful of the thickness of their pillows. If you have back or neck pain, you may want to stay away from pillows that are on the thicker side. Look for something medium that will provide more support. Here’s how to differentiate between thin, medium, and thick pillow lofts: a) Thin: 3 inches, b) Medium: 3-5 inches, c) Thick: More than 6 inches. Cover: If the outer fabric is of great importance to you, then you might want to know what the cover of the pillow is made of. You may want to choose one with a higher thread (meaning, a high thread number per inch). This way, the fill won’t be coming out, nor will there be any place for the impurities to go in. 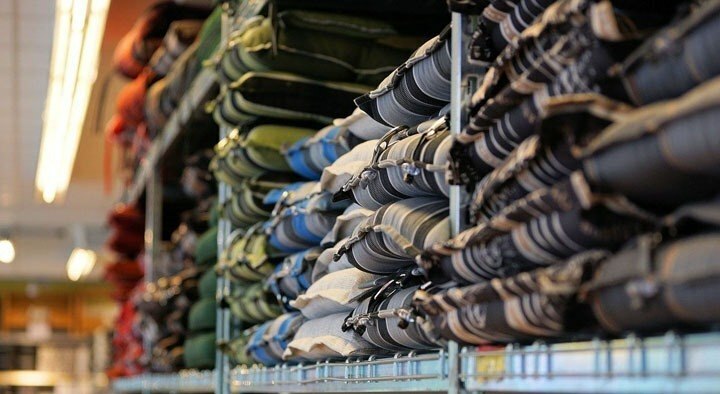 Warranty: A high-quality combination pillow will have a pretty lengthy guarantee since it will prove that the manufacturer is very confident in their product. Since this is an investment that will impact your sleeping quality for years, you should be sure that it has a warranty you can depend on. The Snuggle-Pedic Ultra-Luxury pillow uses a unique mix of certified foam and hypoallergenic memory foam for best results. The way in which a memory foam pillow could address your neck and back problems is by conforming to the natural shape of the head and neck, regardless of how much you move during your sleep. Also, the bamboo cover is a nice addition, allowing the air to circulate throughout the pillow. This prevents you from experiencing that unpleasant overheating feeling. Presumably, the main characteristic that sets this product apart is its orthopedic support. Simply put, it offers a right balance of fluffiness and resilience. So, this pillow will imminently adjust to whichever sleeping position you prefer, making it the perfect choice for combination sleepers. Some clients reported that, at first, the pillow seemed too firm. Others were dissatisfied by the slightly unpleasant odor of the product. Nonetheless, the odor is due to go away in a few days’ time, tops. As for the firmness level, as soon as the pillow adjusted to the body’s shape, most customers noticed a boost of comfort. Comfortable, in spite of your preferred sleeping position. The hypoallergenic construction makes it a decent fit for sensitive skin. According to some people, it is too firm. It has an unpleasant odor that goes away in about one day or two. There are many reasons why this bamboo pillow is recommendable for combination sleepers. For starters, it is both firm and thick. That means it won’t flatten whenever you shift positions throughout the night. Typically, combination sleepers are prone to suffer from aches and pains due to unsuitable support (that’s why they tend to move around a lot). So, maintaining your neck in line with the back is mandatory to keep pain at a distance. When the neck bends, this imminently leads to discomfort, muscle swelling, and pain. That being said, this bamboo pillow could address this concern, presenting the right level of firmness. At the same time, bamboo is known to mold after the body, maintaining the neck and spine aligned, even after you shifted from one position to another. Also, being made of 100 percent bamboo, the pillow is dust mite resistant, stain-resistant, moisture-wicking and hypoallergenic. That makes it a good option for sensitive skin. Bamboo is also a nice fabric as it allows the air to circulate, matching your body’s temperature. Nevertheless, according to some people, sleeping on this pillow was odd, due to its large size. So, you should pay attention to the dimensions of the item before ordering it. Simultaneously, for some people, the level of firmness wasn’t sufficient. But this also depends on one’s personal preferences. Technically, the size of the pillow was chosen with back sleepers in mind (especially those with broad backs), while the firmness tackled side sleepers. Aside from that, this is a good investment: the pillow offers adequate support; it doesn’t have an unpleasant smell while keeping you cool at night. At the time of writing, Standard size is unavailable. Some people said that the pillow wasn’t firm enough. This Superior White Down Alternative Pillow features a polyester fill, which grants it a luxurious, soft appeal. As for the shell, it’s made of ultra-soft fiber, which is noiseless and smooth. Also, the fill is hypoallergenic. So, if you’re allergic to dust, goose down or feather bedding, this pillow might be a great investment for you. At the same time, this pillow has a flexible feel to it; meaning that you can form it after the shape you prefer so that you are comfortable. This is precisely what makes it the perfect choice for a combination sleeper since it shapes after your body regardless of your sleeping position. As a potential drawback, the combination of materials makes the pillow un-breathable. Concurrently, you should note that soft pillows are prone to wear out quicker than firm ones. Since this is a soft pillow, you should take this into account, as well. According to some people, the pillows were too flat and not supportive enough. That being said, if you prefer sleeping on a firm pillow, this might not be the right pick for you. On the other side, if you enjoy soft, fluffy pillows, these could be down your alley. For some people, the pillows were too flat. The OXA Spring Pillow is specifically made to diminish back pain. It does that by utilizing state-of-the-art technology that maintains the firmness of the pillow, in this way, ensuring your comfort. This pillow is advertised as being surprisingly durable, being accompanied by a 20-year warranty. This isn’t something you get with every purchase. This pillow is somehow a combination of firmness and fluffiness. Stomach sleepers might like it, in particular, because this pillow is less likely to envelop your face and cause discomfort and overheating. Furthermore, back sleepers will find it soft and comfortable enough, while side sleepers will see that it offers superior spine alignment. Additionally, for some people, this pillow was the ideal combination of softness, firmness, and support. To that end, many outlined that they have noticed incredible improvements in their well-being, after starting using the pillow. On the other hand, other buyers thought that it was a bit flat, and lacked appropriate support. As we said before, personal preference plays a role in this direction. Some users outline that the pillow is a bit flat, compared to other options. Getting a pillow that has the perfect level of softness and firmness for combination sleepers is hard. Still, the Beegod soft pillow aims at meeting this condition. The use of high-quality materials, namely hyperfine silk, and high elastic cotton maximizes your comfort. At the same time, this has the role of enhancing the breathability and flexibility of the pillow. Moreover, one can tell that the manufacturer has placed a lot of attention in the details of the product. The craftsmanship of the pillow is top-notch. On a different note, the softness of the pillow grants it a luxurious feel, which was appreciated by most customers. It can also immediately shape itself around your head when you suddenly change positions, which is why it’s such a good choice for combination sleepers. Nonetheless, one should note that these pillows aren’t the right choice if you struggle with back or neck problems. In this scenario, you should choose a pillow with a higher level of firmness. While this pillow by Beegold is high-quality, it is soft. Therefore, as outlined by some buyers, it doesn’t provide a high level of support. To sum up, if you prefer soft pillows, this one is a good pick. It is made of a hypoallergenic material, which means you don’t have to worry about unwanted odors or allergies. Some people believe that the pillow is too soft to provide sufficient support. 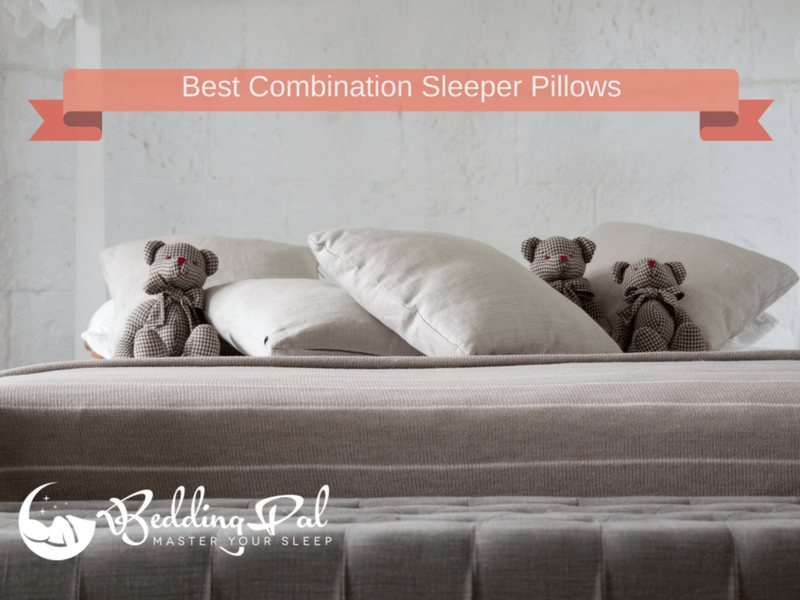 Choosing the best pillow for combination sleepers can be very challenging since it will need to follow all of your comfort needs. If you are the kind of person that tosses and turns continuously throughout the night, you will need a pillow to make you say “I’m comfy this way, I no longer need to move” – regardless of your position. These pillows should help alleviate some of your discomforts so that you can finally have a decent night’s sleep. They’re fairly popular among users, so they can surely do their job. Before you settle on a choice, you might want to consider all of the factors mentioned above, as well as the type of combination sleeper pillow that sounds most attractive to you. With the advice that we gave you, your choice should be much easier to make. Best of luck with your purchase, and have a sweet sleep!